As a girl who has unmanagegable curly hair I relied into hair serums or cream to tame my hair. This is one of my mainstay hair regimen. 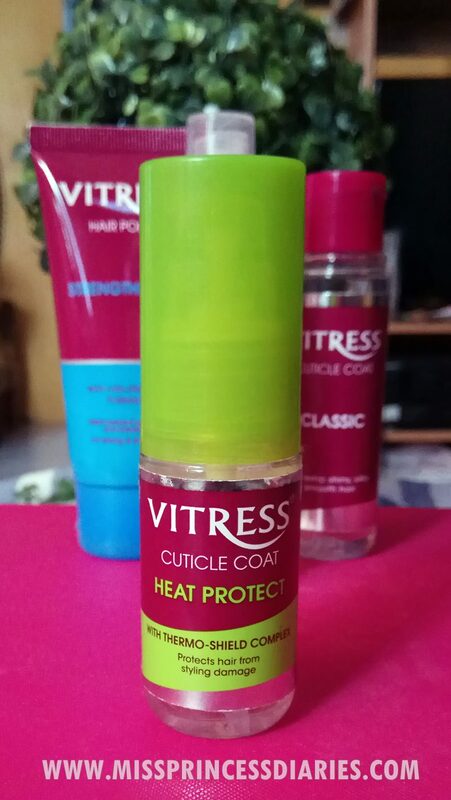 Brand like Vitress not only provide products for us with untamable hair, but also for regular hair with variety of needs. For today, let us see how this 4 variants can help us with our targeted hair problems. I thought I will have my favorite among them. But then I realized, they are as good as their differences. I am happy that they now made variations on their products. Since I used hair creams or serum often, I have checked out different affordable brands that I can use. I've seen Vitress as one on the expensive side compare to many affordable (not so known) brands. 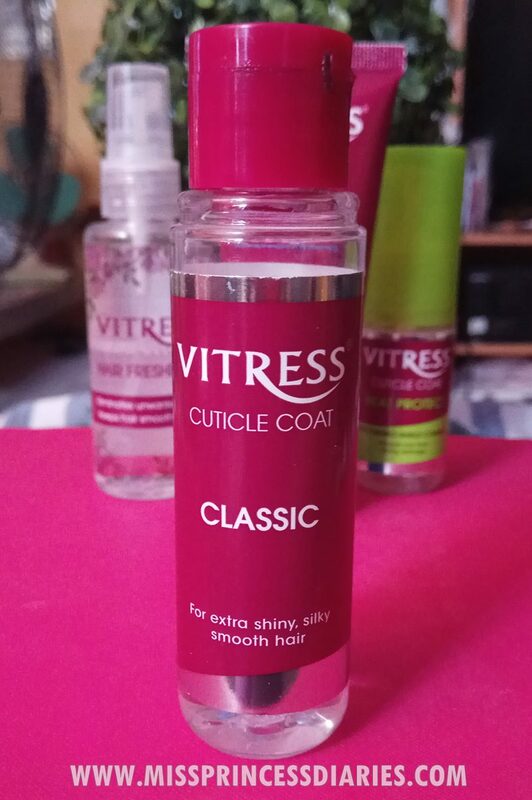 But Vitress proved their supremacy as compare to others and produced reliable, exciting and variety of choices for hair care. I don't mind having a extra shiny hair by using cuticle as long as I have my tamed hair. It is good for managing hair too with an extra shine of course! This particular product is made from serum blended with silicones that coats to protect the hair from damage and breakage. When in doubt and unsure what's for you, start with the classic. It is perfect for every hair type. This is one of their newest addition and I loved it. I often use straightening iron and this is really good that I know my hair is protected from further damage from heat I got from hair stylying tools. Since it has thermo-shield, I also used it when I will be staying long outdoors in a daylight under striking sun especially this summer. It comes in easy pump tube. The scent is similar with the classic serum. The usual hair-taming cream with so good scent. The fragrance of this variant is like a perfume to my hair. It tames the hair naturally without sticky feeling. If you are into not so shiny, tamed, stronger hair, this one is for you. Plus, if you want a good vibe scent too. 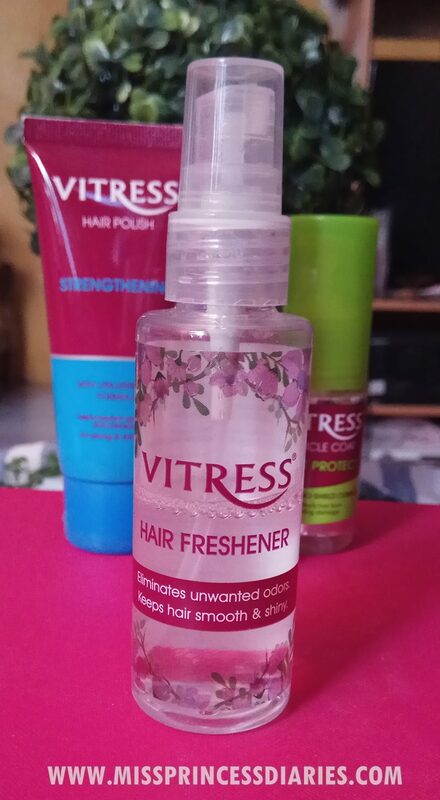 This is another new product from Vitress. It has a strong fragrant scent to refresh the hair from unwanted bad odor. 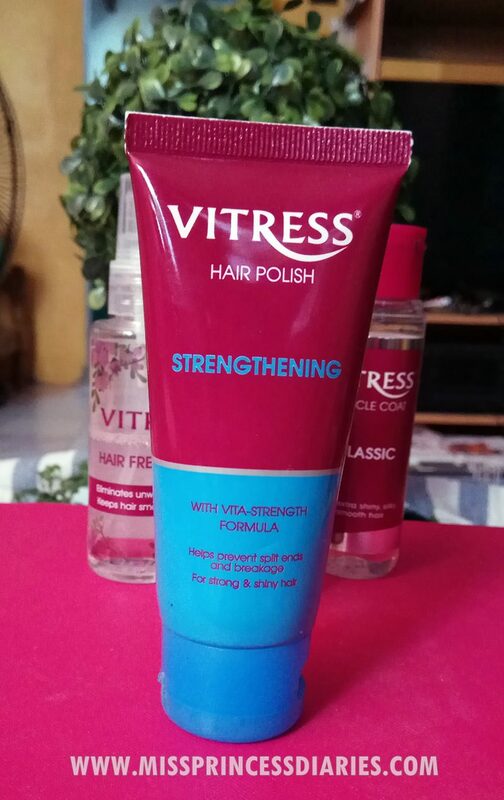 It says from their description that this product is lightly scented, but I beg to disagree because it has a real strong scent which instantly eliminates stubborn bad odor but I still prefer the scent of Vitress Hair Polish Strengthening. Moreover, it makes the hair smoother too. It is defenitely a quick scent hair fix. It is also best used with hair polishing products if you want to actually tame your hair. Overall thoughts: As a regular hair serum/cream user, these products gave me satisfaction and reliability on what I wanted to achieve with my hair.